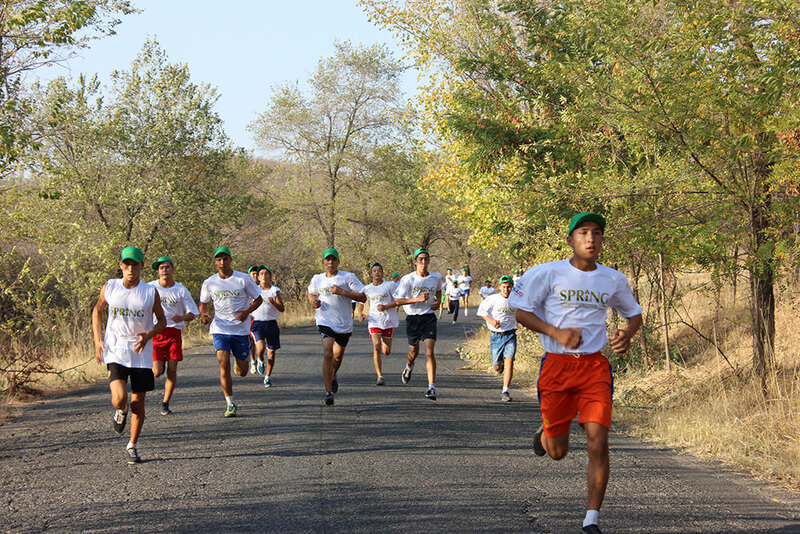 The “Healthy Nutrition - Healthy Youth” event brought together 102 competitors from the surrounding colleges of Jalal Abad, who participated in a 5 km distance run, rope pulling, and other competitions. 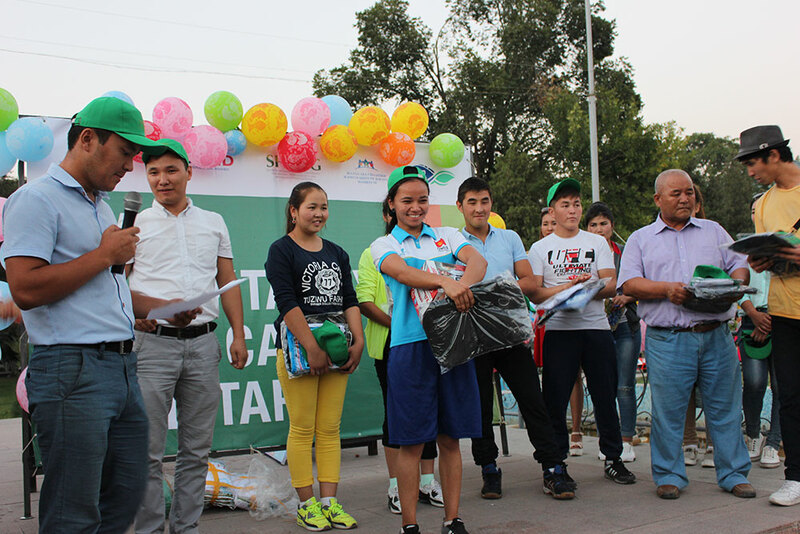 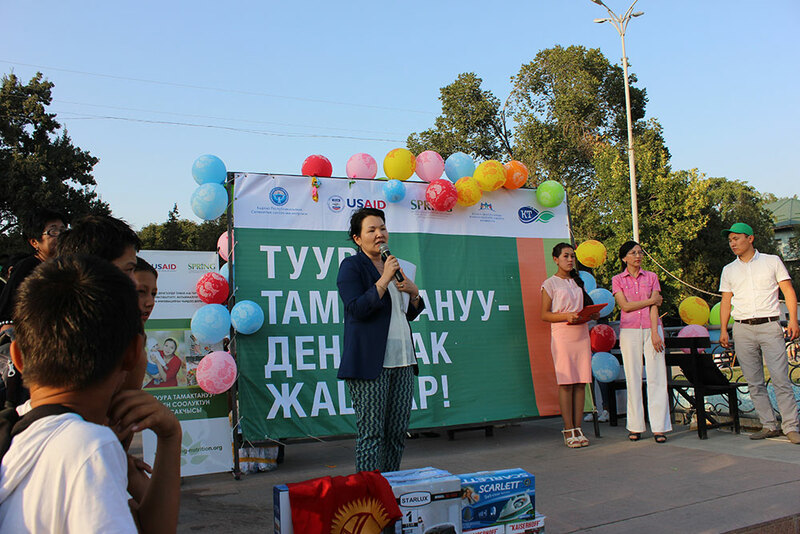 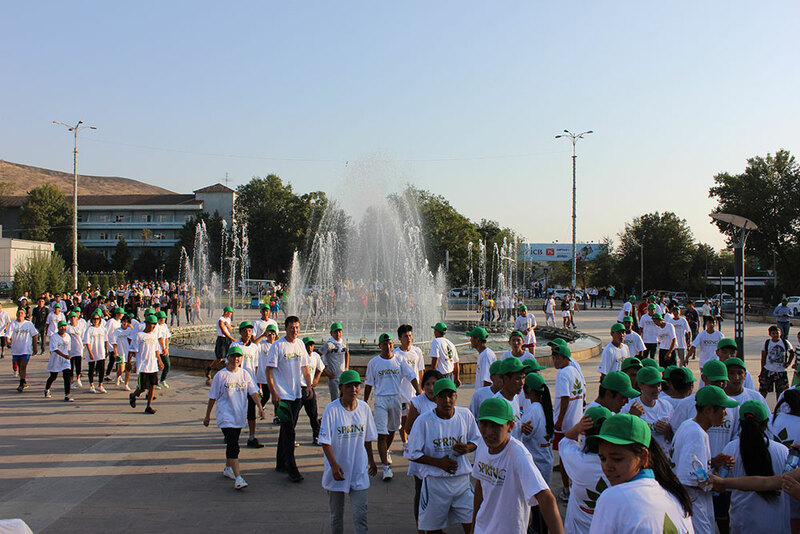 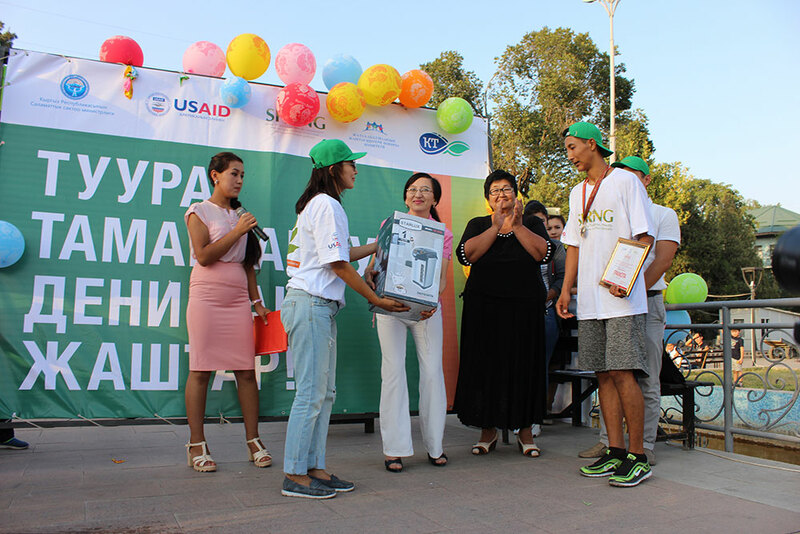 In addition to the competitions testing strength and endurance, the head of the Social Department of Jalal Abad Mayor’s Office, the head of the Health Promotion Unit of Jalal Abad City, the chairman of the Youth Committee, and SPRING’s SBCC specialist spoke on the importance of exercise, dietary diversity, and healthy nutrition. 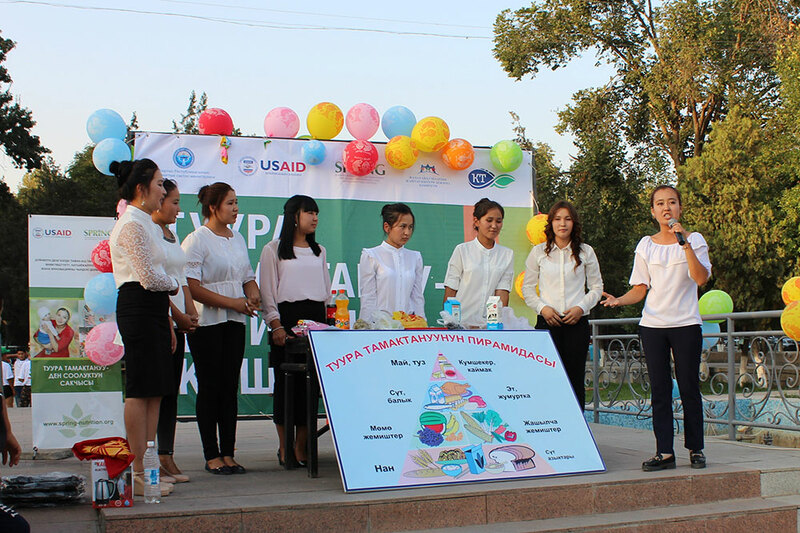 Medical college students put on performances about these important nutrition topics. 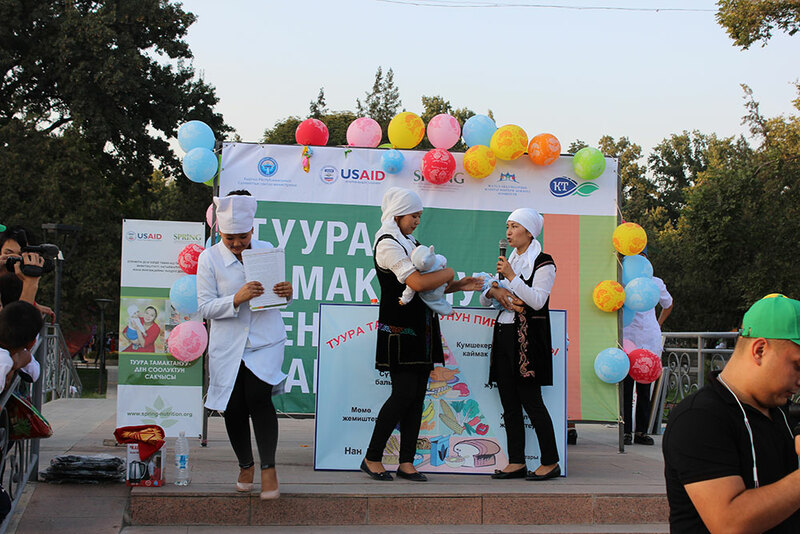 The first performance focused on junk food and its negative impact on nutrition, and the second performance presented the importance of exclusive breastfeeding for the first six months of the child’s life to achieve optimal growth.